The Beatles in their feature film debut, one of the greatest rock-and-roll comedy adventures ever. The film has a fully restored negative and digitally restored soundtrack. 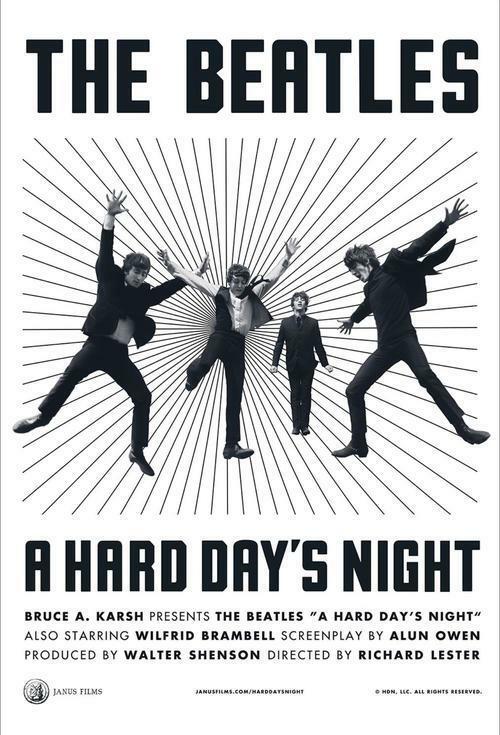 The film takes on the just-left-of-reality style of mock-documentary, following "a day in the life" of John, Paul, George, and Ringo as fame takes them by storm.